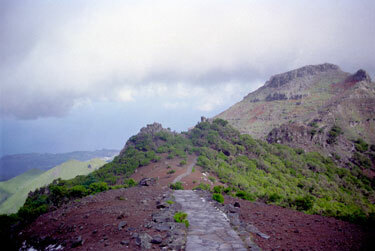 The Pico do Arieiro is the second highest mountain on Madeira. It is 1819 meters high. 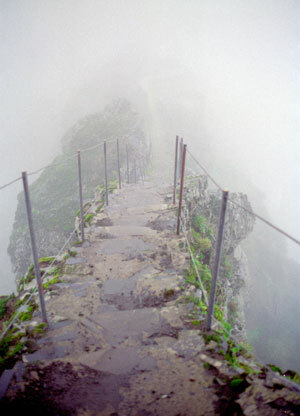 From here you can walk 10 extremely spectacular kilometers to Madeira's highest mountain, the 1834 meter high Pico Ruivo. That is ... if you're not afraid of heights. 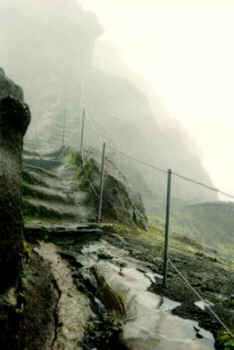 You will have to walk a very narrow path that sometimes has steep drops into oblivion next to it ... on both sides ! 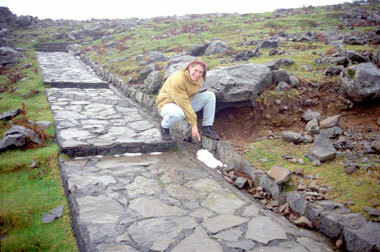 Because we did not have transportation back from Pico Ruivo to Pico do Arieiro, we did not finish the entire path. But, a few days later we drove our car to the other end and walked back to where we stopped the first day. This second day, it was a lot colder than the first day. As you can see, we even found snow!! !